Landlords, are you ready for the Minimum Energy Efficiency Standards (MEES)? From 1 April 2018 it will be unlawful for landlords in England and Wales to grant a new lease or tenancy agreement of a commercial or residential property with an energy performance certificate (EPC) rating of F or G. There are some exceptions – which we mention below – but for the most part landlords will need to ensure that their properties have a rating of E or higher by 1 April 2018. In this blog we look at different aspects of the law on energy efficiency standards and consider what steps landlords should take between now and 1 April 2018. EPCs were introduced in 2007, with the regime applying to all residential and commercial properties by October 2008. An EPC must be prepared and made available to potential buyers and tenants when a property is being sold or rented. An energy assessor visits the property and assesses the energy features such as heating, insulation and glazing. A report is generated giving the property a rating from A (the highest) to G (the lowest). The green deal was introduced in 2013 to help owners of residential and commercial properties to make energy efficiency improvements at no up-front cost. Take-up levels have not been as high as was hoped and the Government stopped funding the Green Deal Finance Company last year. It is still possible to get funding from other providers. Property owners can request a green deal assessment. The assessor will produce an advice report recommending energy efficiency improvements and giving an estimate of likely savings on energy bills. The “golden rule” is that any recommended improvements must pay for themselves through reduced energy costs. If the property owner proceeds with the improvements and uses a green deal finance plan (rather than self-funding the improvements), the loan repayments will be made via the energy bills for the property. The energy company passes the payments to the loan provider. There should be no increase in the energy bills for the property because of the “golden rule”. From 1 April 2016, assured shorthold tenants (and some other residential tenants) in England and Wales have the right to request their landlord’s consent to make energy efficiency improvements to rented property. Landlords must not unreasonably refuse consent to improvements. The new rules apply where the tenant wishes to make a “relevant energy efficiency improvement”. 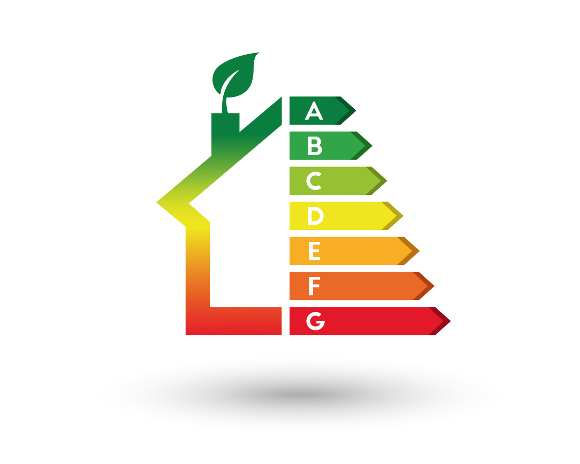 Relevant energy efficiency improvements are those that either qualify for Green Deal funding or are measures taken to connect a property to mains gas. The improvements must be financed at no cost to the landlord. They may be financed through a Green Deal Finance Plan, provided free of charge by an energy company, financed by a grant from central or local government or another source or funded by the tenant (or a combination of these methods). The Energy Efficiency (Private Rented Property) (England and Wales) Regulations 2015 introduce the concept of a “sub-standard” property. This means a commercial or residential property with an EPC rating of F or G.
From 1 April 2018, it will be unlawful for a landlord to enter into a new letting (or extend or renew an existing letting) of such a property. From 1 April 2020 it will be unlawful to continue to let a residential property with an F or G rating and from 1 April 2023 it will be unlawful to continue to let a commercial property with such a rating.
. The landlord has in the previous five years already made all relevant energy efficiency improvements or there are no relevant energy efficiency improvements that can be made.
. because an independent surveyor has advised that this would result in a reduction of more than 5% in the market value of the property. • Carry out an audit of your rental properties to identify any with an F or G rating. Consider extending this to properties with an E rating as the “sub-standard” definition may include E rated properties in the future. • Take advice on energy efficiency improvements. Consider whether any exemptions apply. If they don’t, take steps to make the recommended improvements. Liaise with tenants to arrange access or arrange to do the works when the property falls vacant. • Respond to residential tenants’ requests for energy efficiency improvements. Landlords and tenants can access our guidance notes and template documents relating to tenants’ energy efficiency improvements here. For more information about the 1 April 2016 changes please see here. People With Significant Control Registers – a new era in corporate transparency? Private companies have traditionally been the weak link in corporate transparency but as of 6th April, 2016, this is all about to change. Publicly listed companies are subject to a much more stringent disclosure regime and for many companies, even larger ones, the lack of disclosure around who owns or controls a private company has been one significant reason to operate through this vehicle. A private company has not, up to now, had to look beyond who its registered shareholders are, allowing private trust and nominee arrangements to flourish. This has meant some companies may not even be aware of who actually owns or controls them, let alone anyone outside the company knowing. The Government has stated that in order to tackle tax evasion, money laundering and terrorist financing as well as to increase trust in UK corporates more generally, it will require UK companies, Societates Europaeae and Limited Liability Partnerships (LLPs) to become more transparent. It will do this by requiring companies to keep a register of individuals or legal entities that have control over them (a PSC register). The only entities to which the new regime will not apply are UK listed companies (those subject to DTR 5 of the Financial Conduct Authority’s Disclosure & Transparency rules). Broadly this means companies listed on the London Stock Exchange and AIM, and UK companies with voting shares admitted to trading on a regulated market in another EEA state or on specified markets in Switzerland, USA, Japan or Israel. All other UK incorporated companies limited by shares or guarantee, including dormant companies and community interest companies are within scope, as well as UK Societas Europaea and UK LLPs. The regime is therefore all-encompassing in its scope. Overseas entities operating in the UK, whether through a branch or otherwise, are not subject to the new regime. All UK incorporated entities within scope will need to keep a PSC register from 6th April 2016. As one of the main stated aims of the PSC regime is to increase transparency, from 30th June 2016, they will also need to file their PSC information at Companies House when making their annual confirmation statement (which replaces the annual return). The information at both Companies House and on a company’s individual register will be publicly available. Although residential addresses will remain private and will not be publicly disclosed, for the rest of the information, companies or affected individuals will have to prove that there are “exceptional circumstances”, i.e a serious risk of violence or intimidation, in order for it to be suppressed. Non-compliance with the PSC register requirements is a criminal offence. What will need to be registered? The details of any individual or legal entity that owns or controls (directly or indirectly) more than 25% of a company (or LLP) will need to be registered. Who is a PSC and a registrable relevant legal entity and what details need to be registered for each, are set out in the legislation and there is also Government guidance on the meaning of significant influence or control. Monitor and update this information. A PSC register can never be blank. Even if a company has no interests to register, for example it has 5 individual shareholders each holding 20% of its shares, it must still maintain a register and include prescribed wording in it to reflect that it has no individuals with registrable interests. Sounds confusing – what about the Government’s stated aim of reducing red tape for SME businesses? In many ways this new regime does fly in the face of reducing red tape for SMEs. However the difficulty a company has in obtaining the information to include in the PSC register, completing and then maintaining it, will very much depend on how complex a company’s structure is. The Government has produced comprehensive guidance that is user friendly and designed for directors, shareholders, company secretaries and designated members (LLPs). However it is still fairly weighty for those unused to wading through guidance and applying it to one’s own company without the help of professional advisers. We’ve tried to take the stress out of this looming change for you by producing a comprehensive package of new template notices, documents and guidance to assist you in getting your PSC Register up and running and making sure you comply with the many statutory requirements of the new regime. Our package includes templates to cover all the main aspects of the regime. These are now ready to download here. You’ll need to act quickly however, the obligation is to have your register in place by 6th April 2016 and as the information in it needs to be confirmed, notices need to start being sent out to PSCs now. Business Lessons From Abroad: What Can We Learn? A recent study by HR Magazine has found that UK employees have some of the lowest levels of engagement with their work in the world. But, with business cultures differing from country to country, are there any lessons from abroad that we can learn to make our companies more efficient and profitable? 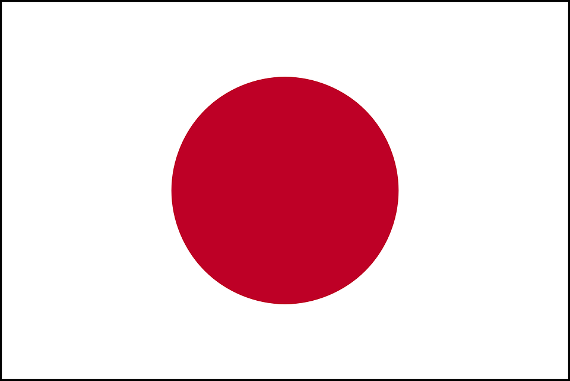 With that that thought in mind, and using Sweden, Denmark, Japan and Germany as examples, we’ve decided to take a look. 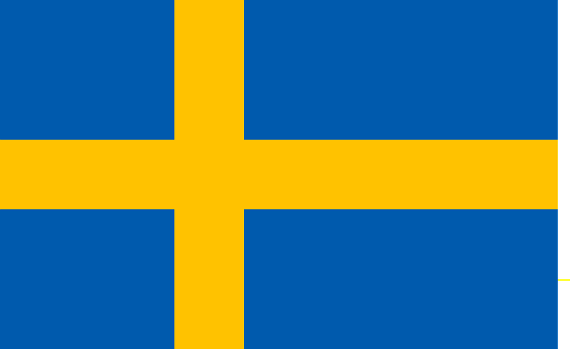 In many ways, Sweden is well ahead of the curve in relation to many socio-economic issues. Unemployment is low, as is the national debt and inflation, and labour productivity levels are well above the global average. In addition to this, the Swedish public enjoy excellent standards of living. So what is the Swedish business culture like that has helped guide our Scandinavian cousins to such success? Sweden is a country obsessed with creating a good work-life balance. In fact, The Independent recently reported, in a bid to improve happiness and productivity, Sweden is currently moving towards a six-hour working day. Indeed, many of the country’s most successful businesses have already successfully implemented this change – including the Toyota centre in Gothenburg, which made the switch 13 years ago. Since then, the company have improved staff morale, reduced their employee turnover rate and increased profits. In recent years, Swedish businesses have made giant strides in promoting health and wellbeing within their workforces. And, among the plentiful perks provided by many Swedish companies, free or subsidised healthcare schemes are high on the list. For example, employees over 50-years-old are often provided with free medical examinations every couple of years. Plus, many companies provide their workforce with free fruit and subsidised daily meals to help encourage healthy eating. Want proof? Inspired by the Scandinavian model, a Liverpool-based marketing agency recently started trialling a six-hour work day and is already enjoying the benefits. Companies that support health in the workplace typically have a greater percentage of their employees at work every day. For this reason, productivity levels are typically high within Swedish companies. Furthermore, after retirement, Swedish citizens enjoy one of the highest life expectancies in the world, so they must be doing something right. As with their Scandinavian neighbours in Sweden, corporate culture in Denmark focuses on cultivating a happy and motivated workforce. Arguably, though, the Danes place an even greater emphasis on the Law of Jante. For the uninitiated, the Law of Jante dictates that team success is more important than individual achievements. Consequently, the typical Danish corporate hierarchy reflects this principle. Many Danish businesses work in small teams without managers, thus creating a flat hierarchy. Without a manager to steer proceedings, teams have to find a way to work together effectively, with all members contributing equally to the cause. Similarly, many Danish companies make a special point of celebrating their successes together. As everything is a team effort, no individual is worthy of more praise than another when it comes to celebrating company wins. As such, everyone gets recognised for their efforts – no matter how big or small. In British business culture, power relations and hierarchical organisations are common. For this reason, Brits tend to defer to seniority and lines of communication get passed down by rank. 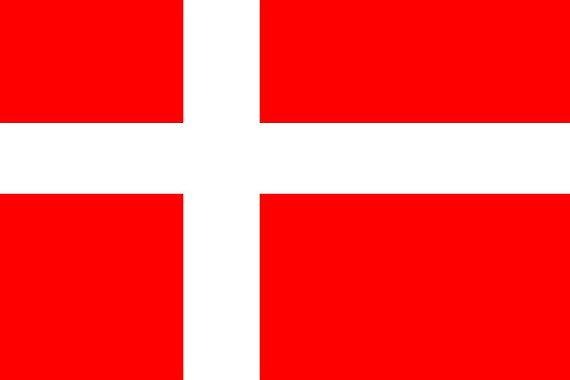 However, as a rule, employees in Danish companies are encouraged to work independently. The benefit of such a structure is that all employees feel empowered by a sense of responsibility towards achieving the same goals. This, in turn, makes them feel more motivated, while celebrating successes as a team means everyone gets to feel valued. All in all, then, a flat management structure can help to cultivate a workforce of empowered employees that feel valued and responsible for a company’s success. Japan is an ancient culture with many unique traditions, customs and rituals that extend into the country’s business culture. Although such formalities might seem mysterious from a Westerner’s perspective, you’d be hard pressed to argue that they don’t work given the fact that Japan have developed into an economic powerhouse. Many Japanese companies start the day with a morning assembly where workers meet to sing a company song or recite motivational slogans in unison. To the casual observer, this might seem strange. However, to the Japanese, these rituals act in the same manner as a daily pep talk, or other such motivational techniques. In Japan, face-to-face meetings are a crucial part of building working relationships with clients and colleagues. When meeting in person, it is customary that the highest ranking attendee sits at the head of the table and is addressed first when discussions commence. This behaviour is representative of Japanese culture, which values the wisdom of its elders. From a business perspective, it’s an illustration that respect is earned as a virtue of experience. Daily motivational rituals are a great technique for ensuring the long-term goals of a company remain fresh in employees’ minds. Although you might not want to go to the lengths of the Japanese, motivational talks and slogans can help boost staff morale, when used appropriately. Older generations seem to never tire of telling younger people that they lack respect for older generations. Although this is a sweeping generalisation, in relation to how you conduct yourself in the workplace, there is a lesson to be gleaned. In most cases, people are promoted within companies because they have displayed high levels of skill and aptitude. Therefore, if you disagree with a manager, it’s probably best to remember they are where they are on merit, and to air any grievances in private. It’s perhaps too easy and not always accurate to summarise German business culture into a list of stereotypes. Nonetheless, it is impossible to ignore the fact that Germany is Europe’s industrial powerhouse, the world’s second largest importer and the only country rich enough to save the eurozone from recession. So, those traditional stereotypes must carry some weight, right? Many German companies choose to enforce strict rules, regulations and processes to ensure all tasks get completed correctly and on time. In some companies, non-compliance to enforced regulations carry penalties, which vary based on the severity of the offence. Although this method for conducting business offers little flexibility, the Germans believe that the benefits of a high degree of consistency far outweigh the negatives. The Germans treat education very differently to most other major European countries. In upper secondary schools, for example, many students take vocational courses and enter into apprenticeships. For this reason, a far greater proportion of Germans leave the education system 100% job-ready. For jobs that require a higher form of qualification, in the majority of cases, state-run universities complete the education of potential employees on behalf of German companies. Nonetheless, in Germany, there is no stigma attached to vocational qualifications. Therefore, if you are talented enough, there is no reason that you can’t rise to the top of a German company, even if you don’t have a degree. Although the typical British workplace is also governed by rules and regulations, as a rule, they tend to be far less implicit than in Germany. For instance, verbal agreements, unwritten rules and ‘gentleman’s agreements’ still play a vital role in the organisational structure of many UK-based businesses. In theory, therefore, lifting more liberally from the German template should allow more British businesses to attain a higher level of consistency and reliability. In regards to qualifications, in the UK, intense competition for jobs means that three-quarters of employers require a 2:1 degree. Historically, this has meant anyone without a good degree grade – or a degree at all – has struggled to climb up the corporate ladder in Britain. Hypothetically, this has curtailed the progress of many talented individuals and stopped them from reaching their full potential. However, this year, several British companies such as Penguin and the graduate recruiters Ernst & Young, have removed degree classification from their job requirements. As a result, more talented but underqualified people will have a better chance of winning top jobs in British companies, just like in Germany. At Simply-Docs, we provide a wide selection of ready to use business documents and contracts. For more information about how we can help reduce the amount of professional legal input your business needs, contact one of our expert team today. Many people dream of opening up their own restaurants, but very few are brave enough to take the plunge. That’s not surprising – any restauranteur will tell you that starting a restaurant isn’t easy. And, while the oft-quoted statistic that 90% of restaurants fail in their first year is not actually true, it is a fact that opening a restaurant is not a business venture for anyone looking to get rich quick. Still, new restaurants are opening in the UK every day. With the right business idea, a bit of expertise, some start-up funding and a lot of hard work, there’s no reason you can’t make your own restaurant succeed. 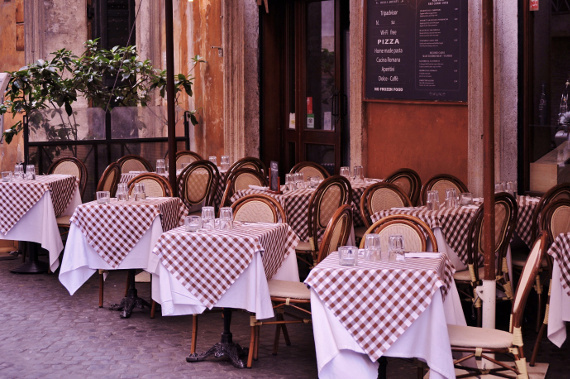 To help get you started, here are our top 10 tips to starting a restaurant. Ah, to be a restaurateur. Long lunches over a bottle of wine. Friendly regulars who are always smiling. Escaping the nine-to-five grind. What’s not to love? If you think running a restaurant is going to be anything like that, think again. That’s the fantasy; the reality is very different. If you already work in the restaurant industry, you’ll know this. If you don’t, go get some experience. If you don’t fancy quitting your day job to wait tables and wash dishes, then the realities of running a restaurant probably aren’t for you. Ethnic eatery or traditional British fare? Family friendly or more for the millennials? Fine dining or fast food? Before you do anything, you need to have a clear idea of your restaurant concept. By far the most important thing about your restaurant concept is that it’s something you’re passionate about and can honestly imagine devoting yourself to, day in and day out, for years to come. Be honest with yourself and what your skills and interests are, and don’t try to jump on any food trend bandwagons just because they’re popular at the moment. Once you’ve got a restaurant concept in mind, it’s time to research its viability. Where should your restaurant be located? Is there a market for your concept there? What is the competition like? And how much do business rentals in the area cost? You might have to adjust your initial concept at this stage – in fact, you almost certainly will. Just ensure that you don’t end up wandering too far from your original idea without realising, in the spirit of making compromises. It’s surprisingly easy to do. If you’re not one for paperwork, forget about starting and running your own restaurant. Before starting a restaurant, there are a number of regulatory hoops that have to be jumped through – from registering your business with the local authority to ensuring your staff have the right food hygiene certificates. Fortunately, the Food Standards Agency (FSA) have a number of useful resources to help get you started, including a guide to starting a food business and a Safer Food, Better Business for Caterers information pack. A comprehensive business plan is essential to ensuring that you stay on budget and on track. It should include market research and financial information, and provide anyone reading it with an in-depth understanding of your business idea, not to mention the initial start-up costs and long-term financial forecasts involved. If, at the end of compiling your business plan, you realise your start-up costs are sky high, go back and refine it further until it seems more manageable. A sound financial plan is essential to the next step. Whether you’re launching a Michelin restaurant or a hot dog stand, a restaurant is always going to require significant start-up capital – enough to cover initial costs and at least six months of running costs. Ideally, you’ll be able to cover these initial costs using your own savings, or with the help of loans from friends or family, but if this isn’t an option then you’re going to need a business partner or bank loan. Whatever the case, this is where having an airtight business plan is of paramount importance – no one is going to invest in someone whose numbers don’t add up. A restaurant owner can’t do everything at once, so bring a great team on board who are just as passionate and excited about this project as you are. In particular, take your time when it comes to finding the right chef. Your restaurant is only as good as the food it serves, and if your chef can’t deliver, no amount of marketing or quality service can compensate for that. Once you’ve signed a lease on a property, it can be tempting to rush preparations and open your doors to the paying public at once. But you only get one chance to make a first impression – so hold fire, and make sure you get it right. If your restaurant needs any renovations or alterations, get them done now. Use this time to make sure that everything’s up to code. And decorate the interior and exterior to ensure that they accurately reflect your restaurant concept and create an inviting ambience. Work together with your head chef to create the perfect menu. Try to keep it short and sweet – it’ll keep your kitchen running smoothly and food waste to a minimum, and customers generally find long menus overwhelming anyway. It is advisable to provide at least some options for customers with dietary requirements, or at the very least to clearly mark which dishes can be adapted to accommodate special diets if required. Once the restaurant is open, say goodbye to weekends and holidays for the foreseeable future. The hard work doesn’t end here; in fact, it’s only just begun. As the owner, it’ll be your job to keep the hundreds of plates required to keep your restaurant running spinning – from marketing and hiring staff to tapering menus and filing taxes. But, if you love the restaurant business, it’ll all be worth it. Starting a business is difficult enough, so why waste time and money drafting complicated documents or paying a solicitor to do it for you? At Simply-Docs, we provide a wide range of fully customisable, ready-to-use documents that are ideal for entrepreneurs. For more information about our services, contact our friendly team today.